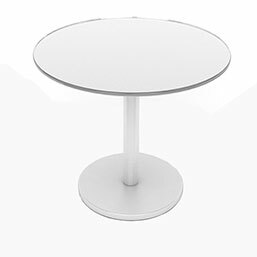 This end table has a functional, yet elegantly simple design that is sure to please. Created from all-weather resistant hardwoods, this white end table is a lovely addition to your outdoor space or front patio. The rectangular table features four sturdy legs and a wooden slatted top to allow for quick drying after a cooling rainfall. Supports up to: 100 lb.